FAQ – Why is this house assessed so much lower than the asking price? When talking about appraised value, this refers to what a property is actually worth. In general, the appraised value is what it is that a buyer is willing to pay for a property when it is sold. The assessed value, however, is nothing other than a municipality’s best guess at a property’s value – but only as it relates to how much they can increase the municipal tax coffers. In general, most people assume that there is a 1:1 correlation between the appraised value and the assessed value of a home. Unfortunately, the assessed value of a home is often imprecise for any number of reasons. Also, savvy homeowners will often challenge the assessment by going before the Board of Assessment Review. In doing so, they hope to drive down the assessed value of the property and, by extension, drive down the annual total of their tax levy. This, however, does not necessarily mean that the house is worth less to a prospective buyer. Conversely, elderly homeowners often times have inflated assessed values. Why?As a result of having resided in their home for 20+ years, the assessed value is continually driven upward while. At the same time, the homeowner may have limited ability or understanding of the opportunity to challenge the town’s valuation. 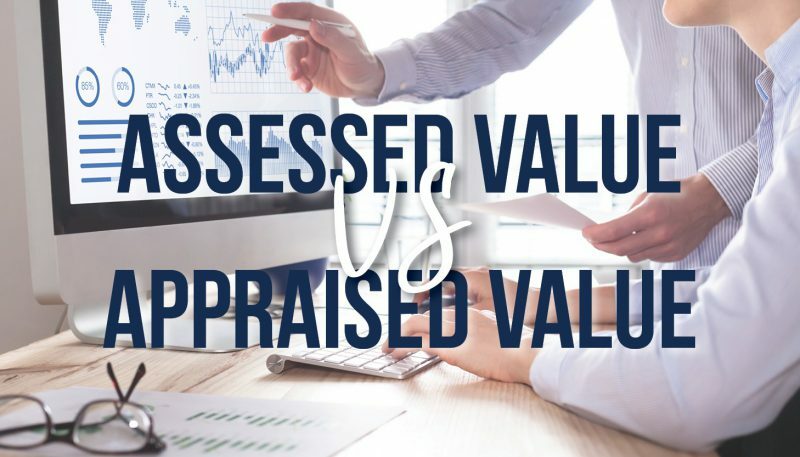 So, if the assessed value isn’t a great indication of the actual (or appraised) value of a property, then what is the significance that one can derive by looking at a property’s assessment? The assessed value of a property is very important for prospective buyers to understand. If a property is being sold for $200,000 but has an assessed value of $170,000, prospective owners need to be aware that their tax levy will, more likely than not, increase within a year and half of transfer of title. Looking at it another way, if a property is assessed for $230,000 but is being sold for $200,000, it would be beneficial for the new homeowners to challenge the assessment in order to drive down their tax bill and save a few extra bucks in their pocket. That being said, I’m sure you won’t be surprised to hear that the town assessor’s office will not simply reduce the assessed value in accord with the sale price of a given property. Instead, a challenge needs to be made. For example, in New York State, the law mandates that the assessed value of a property, if challenged, needs to equal the sale price of a property made as a result of an arm’s length transaction. So, if you’re thinking that you’ll purchase your mother’s $200,000 home for $50,000, I’m sorry to say that your taxes will not go down, as that is not considered an arm’s length transaction. Worth a try! Definitely that is “the beeve” sitting at the table and his older brother in the doorway!